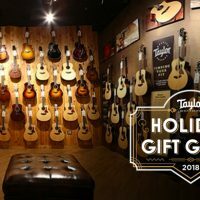 Taylor’s 300 Series guitars boast an exciting assortment of tonal flavors since 2016. 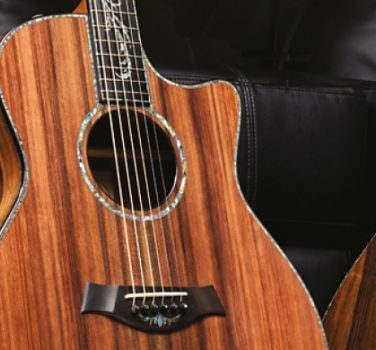 For starters, Tasmanian blackwood, a tonewood we love, joined the series as the standard back and side wood on models featuring a mahogany top. (The tonewood pairing of sapele/spruce continues.) 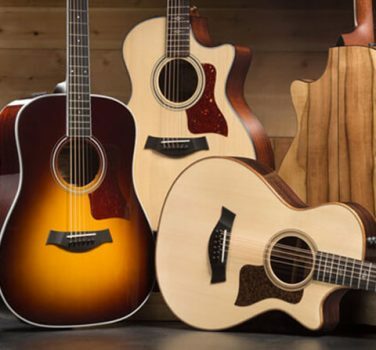 Next, our focus on 12-string and 12-fret designs this year has sparked new models for each within the series. Finally, we’ve refined the aesthetic appeal of the series with a shaded edgeburst on mahogany-top models and a shift to Italian acrylic small diamond fretboard inlays across the entire 300 Series. 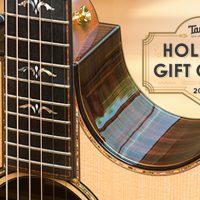 Our appreciation led us to craft several batches of limited edition blackwood guitars in recent years, and this year to incorporate the wood within Taylor’s standard line. 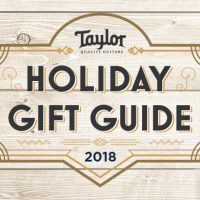 While the wood has been a staple among guitar makers in and around its native region of Australia, its usage has been more limited in North America historically due in part to its lack of geographic proximity. 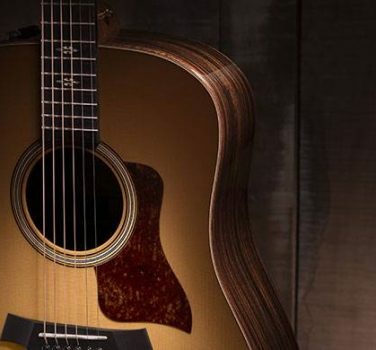 Nonetheless, blackwood has been attracting an ever-growing following among guitar makers and players. The supply is also sustainable, with a healthy sourcing outlook for the future. 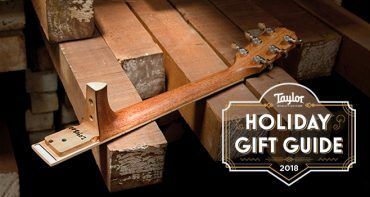 Tonally, blackwood responds with a strong midrange focus — dry and clear yet also warm, like mahogany and koa — with a splash of top-end shimmer and richness similar to rosewood. Its musicality, Andy says, suits a variety of body sizes and musical styles. 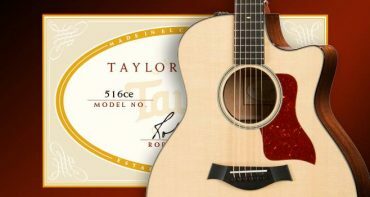 Paired with a mahogany top, players can expect plenty of dynamic range. 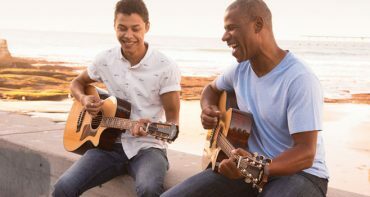 The addition of other new voices and playing experiences also serves to expand the musical palette of the 300 Series this year. 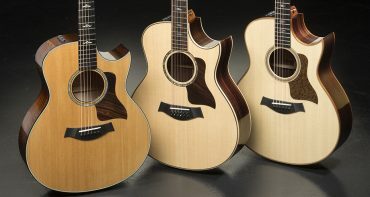 These include a pair of Dreadnought 12-strings, the blackwood/mahogany 360e and the sapele/Sitka spruce 350e. 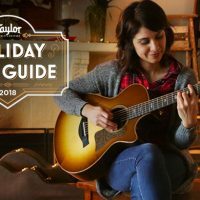 The 360e in particular unleashes a powerful low end and punchy, husky midrange (thanks in part to the Dreadnought’s unique body contours), offering a robust counterbalance to the 12-string octave shimmer. The natural compression of the mahogany top lends a smooth linear balance to the volume across the tonal spectrum. 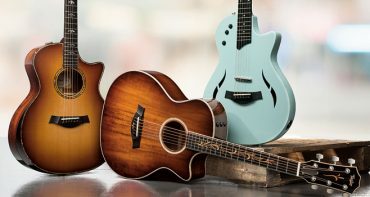 Meanwhile, our 6-string Dreadnoughts, the sapele/spruce 310e and blackwood/mahogany 320e, now feature a hand-friendly 24-7/8-inch scale length, giving Dreadnought fans a slightly slinkier handfeel. 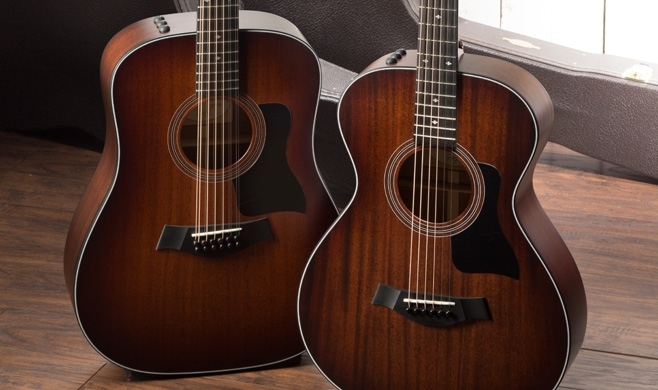 A pair of 12-fret guitars also debuts within the 300 Series this year: the Grand Concert 322ce 12-Fret, featuring blackwood back and sides with a mahogany top, and the sapele/spruce 312ce 12-Fret. 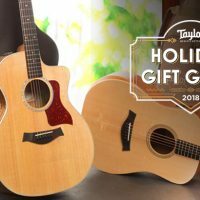 Both models will impress players with their warmth, midrange punch, and surprising dynamic range for a small-body Grand Concert. Look for our new 300 Series models in stores starting in February. « Florentine Cutaway Grand Symphony Models Are Here!